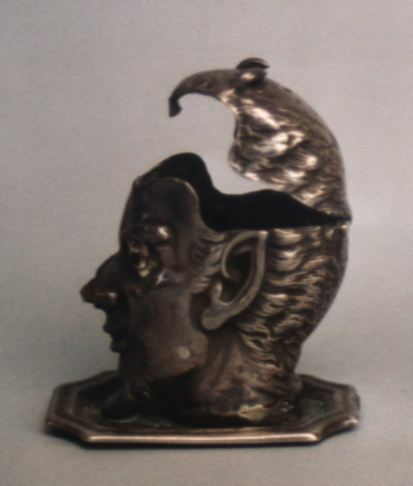 this silver pill box has the shape of a devil's head opening the hinged skullcap through a spring. The mechanism is driven by a lever hidden on the nose. 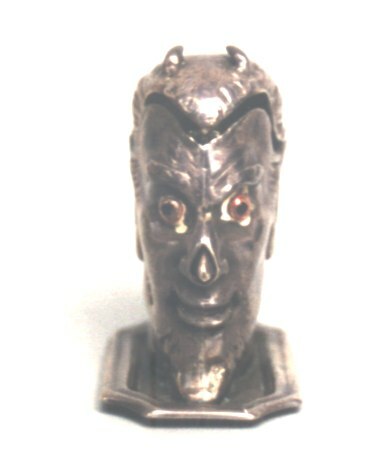 The devil has red eyes and was made in London (UK) in 1952, silversmith DAB. 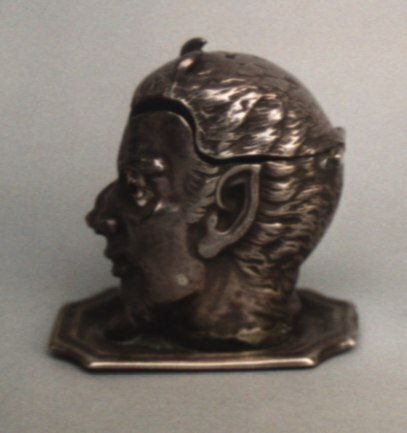 Lately the head was assembled on a silver pedestal by an Italian silversmith (AR 997). The pill box is 2 in. high (cm. 5) and was bought from an Italian dealer at an Antique Fair.